A great chance to work with Julie Price of the BBC SO and ECO. To apply, please complete this application form: Bassoon workshop 2014 details and how to apply and return to Simon Payne. Venue SJE Arts, Iffley Road, Oxford. 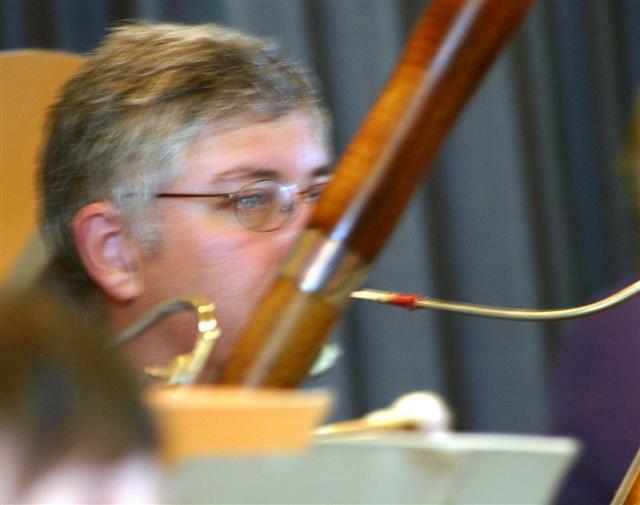 Oliver from Doublereed.co.uk will be exhibiting his range of secondhand instruments and much more. Julie is a widely respected soloist and teacher. She was educated at the RNCM and Manchester University studying with Edward Warren and William Waterhouse and, later, with Roger Birnstingl in Geneva. Her first job was Principal bassoonist with the BBC Scottish Symphony Orchestra. She followed that with several years as first bassoonist at the Royal Opera House, Covent Garden and then the RPO and the English Chamber Orchestra. She is now Co-Principal bassoonist with the BBC Symphony Orchestra whilst also Principal bassoonist at the ECO. She is a member of the Razumovsky Ensemble and plays regularly with other chamber groups. Her recordings include those of the Mozart concerto and Elgar Romance with the English Chamber Orchestra. The format of the day will include ensemble playing, 20-minute individual master-classes for up to 6 players, and a detailed Q&A session where Julie hopes to be able to cover all sorts of topics ranging from articulation to breath control, intonation to vibrato, how to get the most from practice and as many more thorny issues as requested! Julie may also give a short recital. You will be able to ask questions throughout the day. Please bring your own lunch. There are some nice cafes in the nearby Cowley Road that are open all day. (also known as St Stephen’s House). See www.sje-oxford.org for more info. See below for details. You may find on-street parking, but otherwise use the Tesco carpark which is fairly near (but you have to pay!). Frequent buses run from Oxford Railway Station across Oxford to Iffley Road – No 3 bus (James St stop is directly outside the SJE) or No 5 takes you to Cowley Road – James St stop – a 3 minute walk from the SJE. Once you reach Cowley Road, disembark at the James Street stop (see map for precise location). Bus services from London run about every ten minutes during the day. Buses go from, among other places, Victoria Station, Marble Arch, Notting Hill, Shepherd’s Bush and Hillingdon. Once you reach Oxford, disembark at the St Clement’s stop (see map below for precise location). There is a bus stop outside the church in Iffley Road (James St stop) for buses from the town centre (no 3, 12c, 106, 115, 116, N3). Nearby, in Cowley Road, there are further buses which run to and from the town centre (James St stop) (no 1, 5,). There is a small public car park at the bottom of St Clement’s and also one behind Tesco in Cowley Road. Both are a short walk from the SJE. There is some on street parking in Iffley Road and in the side streets after 6.30pm.